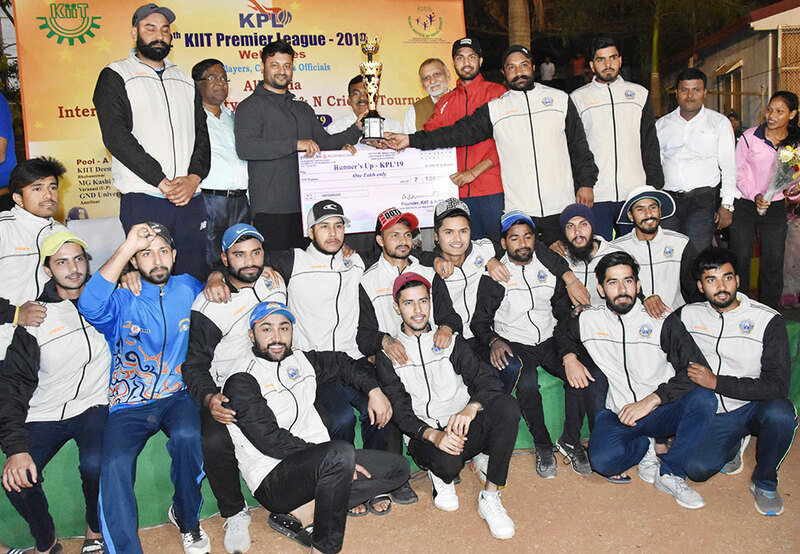 The 12th edition of KIIT Premier League (KPL) All India (D&N) T-20 Cricket Tournament organized by KIIT Deemed concluded at KIIT Cricket Stadium on Monday. AL – FALAH University has become the winner defeating GURU NANAK DEV University (GNDU), Amritsar. The Jawaharlal Nehru Technological University (JNTU) clinched the 3rd position while University of Mumbai in 4th position. In the final match AL – FALAH University scored 216 runs in twenty over lost of 3 wickets while GNDU was able to score only 149 runs lost of 9 wickets. In the closing ceremony noted ollywood cine star and Rajyasabha MP Anubhav Mohanty, Arup Pattnaik, Executive Chairperson of State Youth Welfare Board, Odisha; Dr. Bishnu Prasad Panigrahi, CEO, KIMS joined as guests and distributed the prizes. The winner team AL-FALAH University bagged the champion trophy and rupees 2 lakh cash prize while the runner’s up GNDU bagged rupees 1 lakh cash prize with trophy. The best 3rd team JNTU and best 4th team University of Mumbai received cash prize of rupees 50 thousand and 25 thousand respectively. 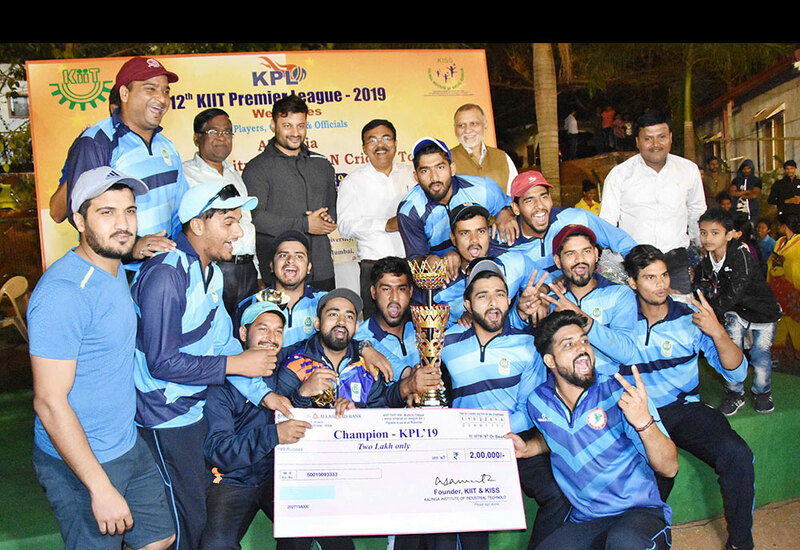 Abhirath Reddy of JNTU adjudged as best batsman, Faizan Alam of AL -Falah university as best bowler, M Prasant of KIIT Deemed University as best fielder, Rudra Dhanday of University of Mumbai as best wicket keeper and Anubhab Ahuja of AL – Falah University adjudged as man of the final match and each got rupees 6 thousand cash prize while Akash Antil of Al – Falah University adjudged as man of the series and got cash prize of rupees 8 thousand. Among others Dr. Gaganendu Dash, Director, Sports, KIIT and Prof. Jayanta Parida, Director, Quality Assurance cell, KIIT were also present. Lastly a friendly cricket match played between cine and TV serial actors. 12 Universities from all parts of India participated in KPL Total prize. It is worth mentioning that, this edition of KPL has the distinction of being the highest prize money tournament in the history of university sports in India.